Advent wreaths are generally made up of a circular garland of greens and four candles of either purple or blue, or three candles of either purple or blue and one pink candle. There may also be a white candle in the center. The purpose of an Advent wreath is to mark the passage of time from the first week of Advent until Christmas. Each week one purple or blue candle is lit (if there is a pink candle, it is lit on the third Sunday of Advent) until all four candles are lit on the fourth Sunday of Advent. The central white candle, if there is one, is lit on Christmas day. 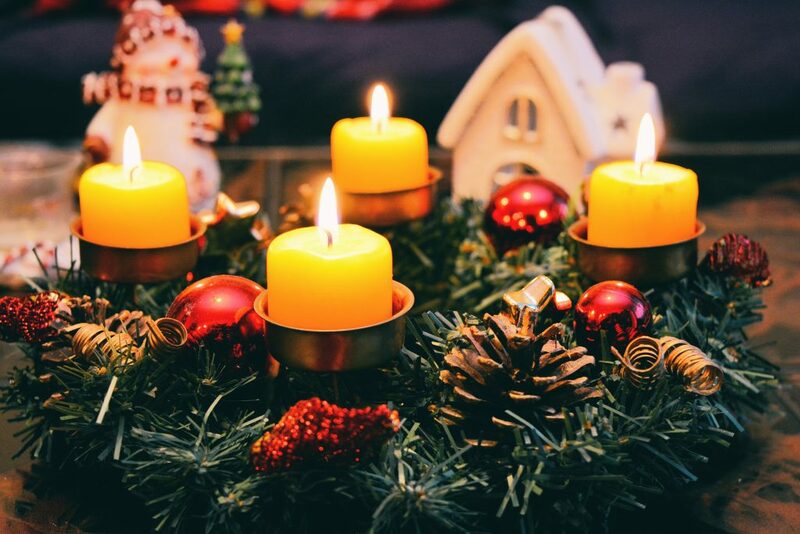 Though most people who are familiar with Advent wreaths have seen them in churches, they were originally meant for home use so that families could mark the passing weeks of Advent. Where can I get an Advent wreath? If you’re interested in resurrecting the original use of the Advent wreath and would like to have one at home, you’re in luck! On Sunday, December 2 at 9:00am, both children and adults can gather in the fellowship hall to create their very own Advent wreaths. All materials, including candles, will be provided. There will also be example prayers for children and adults that you can take home and use for personal or family devotions each week of Advent. If you or your child/grandchild would like to make an Advent wreath, please let me know as soon as possible so that we can make sure we have enough materials for everyone. Do you have any other questions about Advent or anything Episcopal-related? Click the button below to suggest a topic for another What Why Wednesday!